"Today's mains is not compatible with high resolution audio systems. The situation is so bad, that we have decided already 14 years ago to sell battery equipment only. For those who want to improve the dramatic mains situation however, we have been developing mains isolation transformers for the last 25 years. 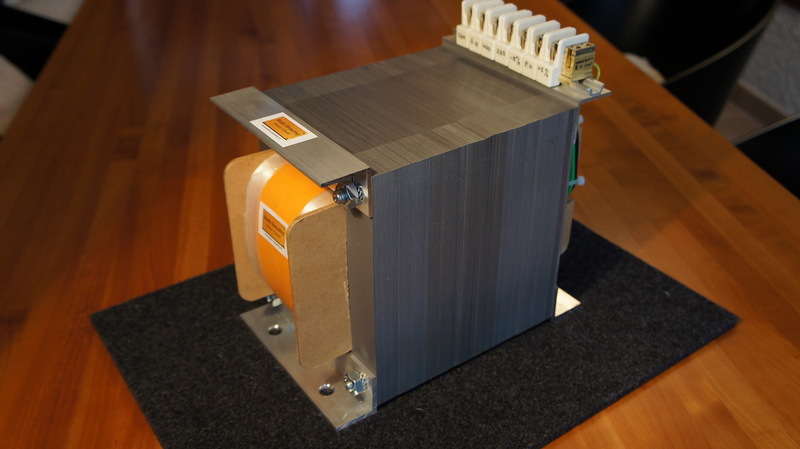 Our mains isolation transformers are not equal to any other isolation transformer. They do address the real problems of energy transfer from the mains to the audio gear. This has to do with high-level harmonics, sporadic high level DC and also with sub harmonics. A good transformer does not only help to lower the influence of the previous on audio power supplies, but also increases power transfer to audio equipment. The results are dramatically improved micro and macro dynamics and a subjectively wider bandwidth. Resolution and the music harmonics are greatly improved, while the listening fatigue is lowered a lot. While Audio Consulting isolation transformers can be used in a 230 – 230 VAC mode, the best results are achieved when using them in the 400 VAC – 230 VAC mode. Two phases of a three phase mains are being connected to the primary, resulting in a totally new and floating 230 VAC mains. The latter has no connection to the "0" VAC wire of the original mains system, where a bigger part of the pollution is being located."